This entry was posted on April 26, 2016 by OBTGAME. Bless Online is a MMORPG created by a Korean studio, Neowiz Games. The game is based on the Unreal Engine 3 and is the first to utilize the engine's landscape tool. Bless is set in a medieval fantasy world. The main story revolves around a decade-long war between two factions. Players can choose their character's race and class, with race determining which faction they align with. Now, Only Bless KR entered open beta. Regarding whether Neowiz will make this game released in other region, no more news now. Players want to play this game, they have to get one account first. Actually, register one account on https://account.pmang.com/SignUp_account/ is very easy. what you need is one Email. But you will find the account is not available to play Bless for asking input korean phone number and IPIN. If you can't ask one Korean guy to sign up for you, then buy verified Bless KR account is the only way. For those players who want to register their Gmail account to play Bless KR server, For security, please use gmail entry to login pmang(must logout gmail first), https://www.obtgame.com/media/wysiwyg/images/use_gmail_to_login_pmang.gif. 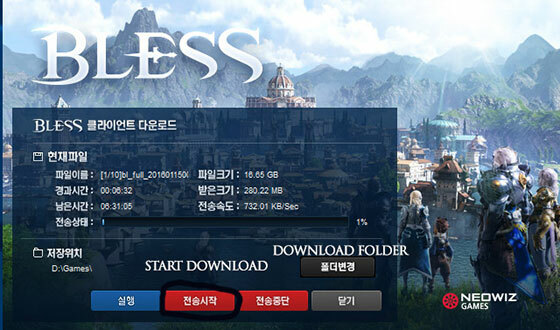 Players can download Bless KR client without login. Download Bless Korean client from http://bless.pmang.com/index.nwz?mKey=6&sKey=1. You can click blue or red button to download. Select the folder and processed. Click the button as photo to start download, change storage folder if need. Hit the blue button to launch after download completely. After installed, then you should visit bless.pmang.com. Login your account, then hit Game Start button to play this game. BTW if you want to level up quickly, buy Bless cash here. Click the Start button, click Control Panel, click Appearance and Personalization, and then click Folder Options. Click the View tab. Under Advanced Settings, click View folders, hidden files and drives, and then click OK.
A: Login failed. When you get the error message, connect to Korea VPN is the solution. A: Computer hasn't install plugins well. Just download plugins and run. A: This game is only allow Korean residents to play. So players have to connect to Korea VPN and change computer display language to Korean. Follow the solution as following if you are using Windows 7: Control Panel -> Change display language -> install and choose Korean language. (or visit here http://www.pcdiy.com/1/how-to-change-windows-7-language). A: Your IP has been banned. So you can use VPN service to change IP into Korea. Q: What is the VPN? How can I get Korea VPN? A: Check VPN definition on WiKi. Most of VPN services are not free. 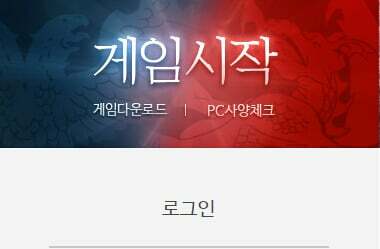 We are offer VPN service too, you can buy Korea VPN for Bless KR here.